This 2004 Azimut 74' Motor Yacht is a ton of boat! Striking lines, accommodating layouts with four staterooms plus qrew quarters, bow and stern thrusters, Freedom Hydraulic Lift and more make this well equipped Azimut 74' one of the best values on the market! United Yacht Sales New Jersey would love to guide you through a personal showing of this 74' Azimut 74 2004. This yacht for sale is located in Catawba Island, Ohio and priced at $994,000. For a showing please contact us by filling out the form on this page and we will get back to you shortly! The Azimut 74' was inspired by the successful Azimut 70'. 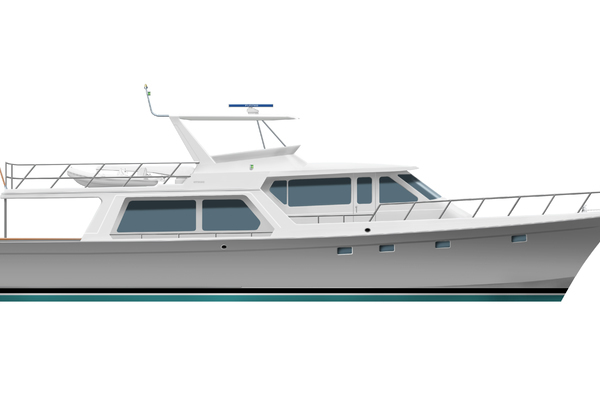 This yacht is for those who love the modern design and technology as well as the maximum comfort on board.